The bypass as currently routed does not serve our community's longterm interests. 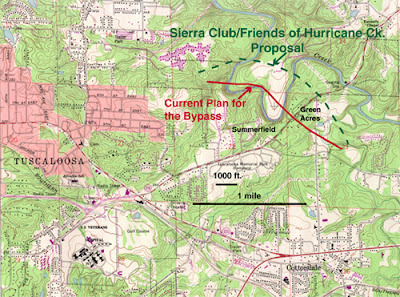 The Friends of Hurricane Creek hope that providing local residents with an informative picture of ALDOT's plan will allow each family, neighborhood, and individual to determine how (and if) the Eastern Bypass serves their needs and interests. The Eastern Bypass as currently planned is "Route B" in the Final Draft EIS. 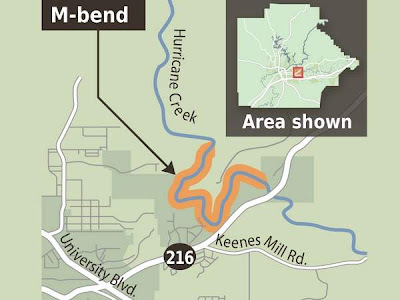 It cuts straight through the M Bend of Hurricane Creek and tears through the center of Holt, replacing local businesses like Brown's Nursery. These maps were photographed during a visit to the ALDOT Fifth Division office on Skyland Boulevard. The details are greatly superior to any maps displayed by ALDOT on their current website. You can see how the bypass will actually look. Houses marked in red are affected properties and possible relocations. Click on any map images to enlarge and get a bigger picture. There are at least nine different proposed routes for the Eastern Bypass. Several of these routes do less damage to the creek watershed and do not destroy Hurricane Creek Park. This route was initially proposed early the Bypass planning process by the West Alabama chapter of the Sierra Club and the Friends of Hurricane Creek. Both groups invested significant resources and time in exploring this alternate route. No satisfactory explanation was given by our officials as to why this route was not acceptable. There are 8 alternate routes in the Final Draft of the Environmental Impact Statement (EIS) for the Eastern Bypass. 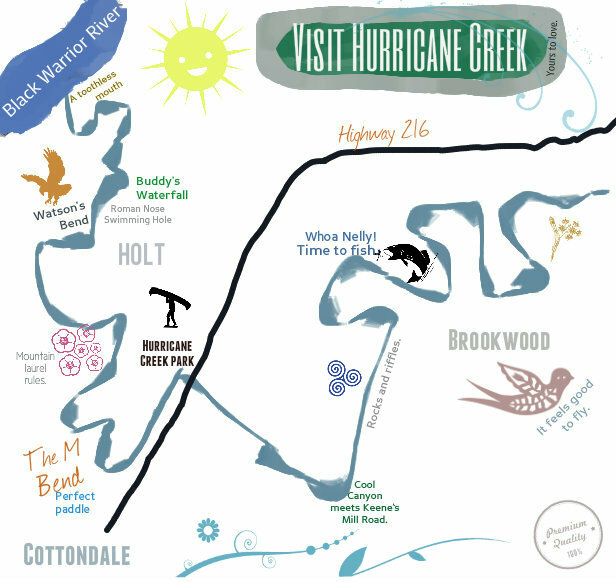 Alternates F, G, and H are more favorable to Hurricane Creek Park, though all the alternates listed involve some degree of harm to the watershed. 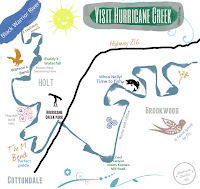 This route runs to the left of Hurricane Creek Park.